When in Salzburg, one must surely have purchased, tasted or seen the famous Mozartkugeln! 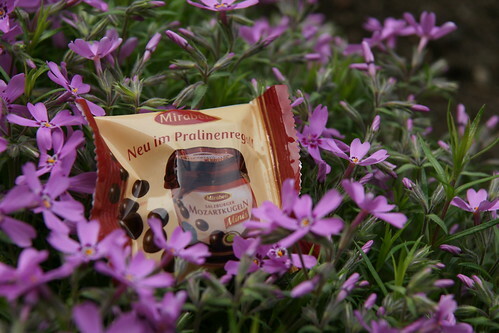 And to all Mozartkuglen fans out there, Mirabell has recently launched the new Mozartkugeln Minis! Nothing has changed except that it's available in a convenient, pop-in-the-mouth size even for the most petite ladies.